One of my favorite things to do is people watch. There’s something settling about losing all sense of time while sitting on a park bench as people stroll by. Disney World is no different. Today I had the fortunate pleasure of being one of the first ones in the Magic Kingdom, and one of the last to leave. Normally, my family would be with me, and our agenda would not include people watching, nor would we close down the park at the end of the day. Today, however, was much different. 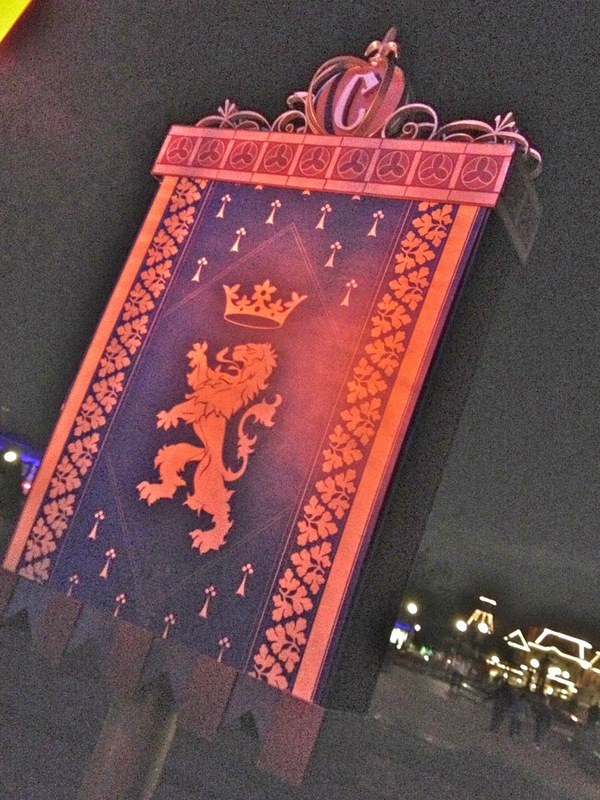 I started with a Keys to the Kingdom Tour that began right as the park opened. Our task was to be in the park before our tour departure time. Let me just say that standing outside Guest Relations when those fireworks go off in the morning is no less than amazing. I liken it to the Running of the Bulls. You either run with the group, move out of the way, or face certain trampling. I fully intended to take a picture of the people coming in, but that’s just it – if you blinked, you missed them! They were in and gone, strollers wheeling at break-neck speeds, undoubtedly off to Space Mountain and New Fantasyland. We let them go by and started our tour. Once it was over, I had several other things on the agenda, including stops at Hollywood Studios, the Boardwalk, and EPCOT. My traveling companion opted to call it a night at 10 pm, but for me, that was the perfect time to head back to the Magic Kingdom. 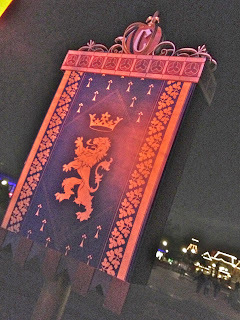 Most people were trickling out, not in, and I found myself standing in a nearly empty Magic Kingdom, staring at the beauty that lives within the walls. I walked back to the jungle cruise – a completely different experience at night than it is during the day – and over to the dualing Dumbos. 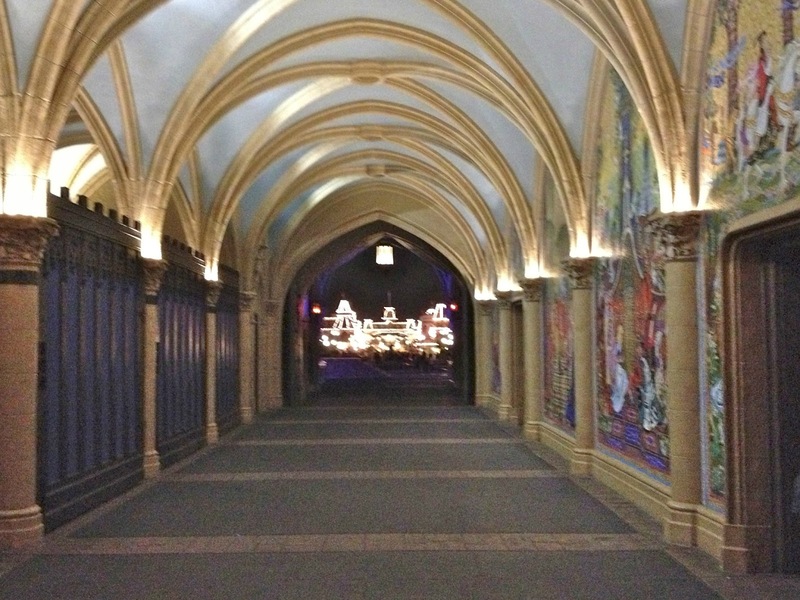 But my favorite shot of the night was coming out of the back of New Fantasyland. One cannot be the last person out of the Magic Kingdom and not be in awe of the dream that Walt began. Each detail – these finials in front of the castle could be round, but they aren’t – they’re pumpkin carriages. When the children are tired, and the families are leaving, to stand around and capture the very essence that is Disney is amazing. And that’s just it. To be the first is exciting, exhilarating, and energetic. But to be the last… to bid adieu to the Magic Kingdom as it rubs its eyes in preparation for a night’s slumber is in fact, magical. Thanks for a beautiful evening, and don’t worry, Walt. I’ll see ya again, real soon.